Bray was cut by the Texans on Friday, Aaron Wilson of the Houston Chronicle reports. Analysis: Bray was placed on the waiver wire by the Bills earlier this month to make room for Corey Coleman. The 25-year-old was always a long shot to make the roster given the Texans' depth at the receiver position, and he will now attempt to find a home elsewhere in the league as a depth piece. Bray will become an unrestricted free agent if he clears waivers. Bray signed a contract with the Texans on Sunday, Aaron Wilson of the Houston Chronicle reports. Analysis: Bray was waived by the Bills a week ago in order to open a roster spot for the newly acquired Corey Coleman. He'll spend training camp with the Texans but is a long shot to make the team's final roster given that they boast plenty of quality depth at wide receiver, but Houston's been on a perpetual mission to find a return specialist, an area that Bray fulfilled while with the Colts the previous three seasons. The Texans had Tyler Ervin and Braxton Miller returning kicks in the preseason opener. Bray was waived by the Bills on Sunday, Sal Capaccio of WGR Sports Radio 550 reports. Analysis: The move was made to open a roster spot for Corey Coleman, who was traded to the Bills from Cleveland in exchange for a draft pick. Bray will become an unrestricted free agent if he clears waivers. Bray did not participate in Thursday's practice due to a toe injury, Sal Capaccio of WGR Sports Radio 550 reports. Analysis: The specifics regarding Bray's injury aren't clear, but any missed practice time is going to be very costly for the receiver given that he is already a long shot to make the final roster. Bray was signed to a reserve/future contract back in January. Bray signed a reserve/future contract with the Bills on Monday. 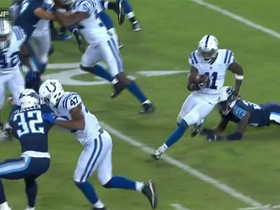 Analysis: Bray played in 24 games with the Colts over the past three seasons, primarily serving as a kick and punt returner. The 26-year-old is likely to see that area as his chance to make the Bills as he enters the team's offseason program. 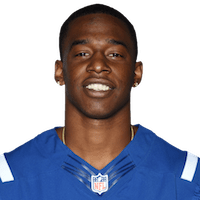 Bray (undisclosed) was waived from the Colts' injured reserve list Tuesday, according to the league's official transaction log. Analysis: Bray originally landed on IR in early November with an undisclosed injury. If he clears waivers, he'd then be free to sign with another team. 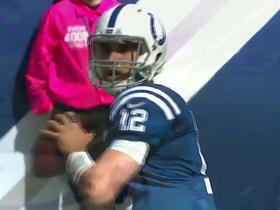 The Colts placed Bray on injured reserve Tuesday due to an undisclosed injury. 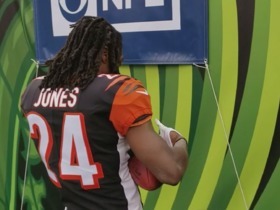 Bengals' Adam "Pacman" Jones signs autographs and hands his gloves to fans before his Week 8 game against the Colts. 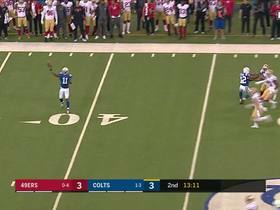 Indianapolis Colts wide receiver Quan Brady shows off jets on electrifying 60-yard return. 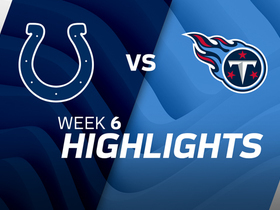 Watch the best plays from the Week 6 matchup between the Indianapolis Colts and the Tennessee Titans. 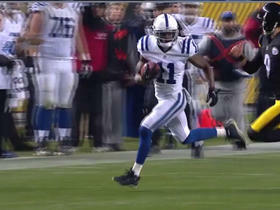 Indianapolis Colts wide receiver Quan Bray takes an Andrew Luck pass for 22 yards.